I am a bargain hunter by nature and while my Mum used to scold me for telling everyone the bargain basement prices I had obtained, or letting people know it is in fact a Forever 21 necklace, not the YSL they had thought, I find bargains an achievement I wish to share. So once a month I will be sharing you my bargain purchases for the month. In general, sales kill me, and I have once again spent more than I should have this month…but when you get bargains like this, can you blame me? A perfect cossie for an upcoming tropical sojourn to Boracay I think. Love the bright and bold sapphire colour. Tory Burch Scallop Pendant originally $295, found on eBay for $40. Probably fake, but apparently with tags! 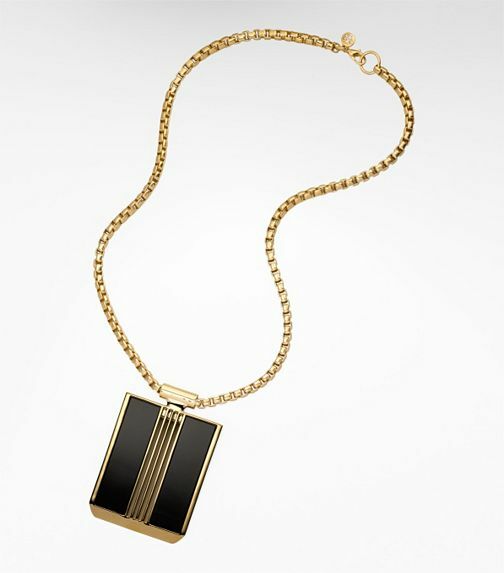 This pendant was from last season, but black and gold never go out of style and are a never fail option for me. Very YSL circa 70’s. Hey, even if it is fake, still a bargain! It is always hot in Hong Kong – well at least 9 months out of 12, which makes work dressing quite difficult. I have been finding blazers are the perfect work wardrobe item, as office’s are usually freezing cold from air con, whereas outside is sweltering. Makes it easy to pop on a blazer. 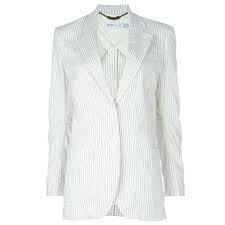 Plus this lightweight cotton one from See by Chloe makes a great work to dinner/drinks dress up companion. Dianne von Furstenberg Maja Two Dress in red and white buds. $398 reduced to $180. As above, another great work to play piece that can be worn in the Hong Kong heat. Plus love the red and white floral pattern, very Hong Kong colours. This dress was famously worn (twice at that, quell horror!) by Kate Middleton in green. Being DvF though, can’t go wrong with her signature patterns. 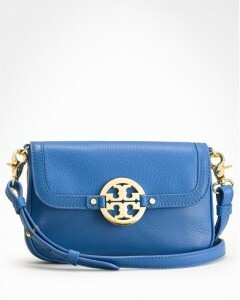 More blue, more Tory Burch. I love the convenience of cross over bags, no carrying, no excessive weight, good for day or night. Birthday present to myself, with a little help from a TB birthday voucher from a friend. This entry was posted in Fashion and tagged Dianne von Furstenberg, See by Chloe, Tory Burch, Zimmermann. Bookmark the permalink.